When buying a car in Maine, you must obtain certain required paperwork from the seller in order to register and title your vehicle. 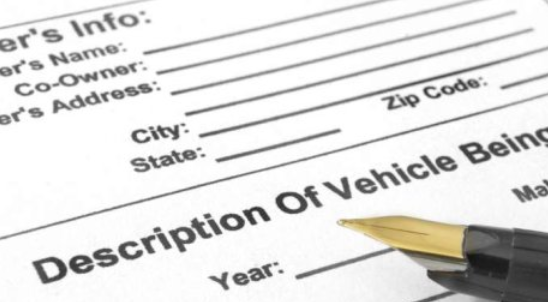 If you buy your car from a dealer, they will normally process the required paperwork on your behalf. However, if you buy the car from a private seller, you will need to visit the Maine Bureau of Motor Vehicles (BMV) to register and title the car in your name. Continue reading this article to get more information about the paperwork required when buying a car in Maine. A written copy of the seller’s deposit policy. If you are purchasing a car in installments. Certificate of Title (blue title application from seller). If you are buying a car from a dealer, you must obtain a Warranty of Inspectability in addition to the above listed documents. This document proves that an inspection was done on the vehicle within the last 60 days. The seller needs to sign the vehicle title over to you. To expedite this process, you must fill and submit an application for a Maine certificate of title to the nearest BMV location. Your application must be accompanied by original vehicle title signed over to you by the seller. You will also need to pay $33 title transfer fee and $10 for expedited service. Pay the excise tax at any local municipal office and obtain the receipt. Get a general vehicle inspection (smog certificate for Cumberland County residents). A signed bill of sale. The vehicle title if the car is a 1995 model or newer. The white and yellow copies of both excise tax receipt and registration application. To pay $35 registration fee. Maine has a lemon law that covers new cars only. This law covers vehicles that have 18,000 miles or fewer or vehicles within 3 years of delivery date from the seller or whichever comes first. If you believe you have bought a lemon, take your vehicle to the manufacturer to have it repaired. If the repair fails after a number of attempts, request the manufacturer to give you a refund or a vehicle replacement.